Barry began his career in the fire service as a member of the Weeksville Volunteer Fire Department in 1987 where he continues to serve his community today. 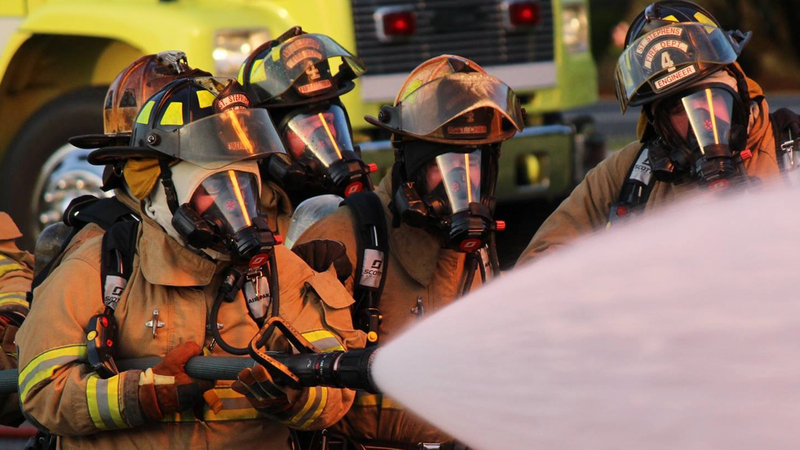 He began working fulltime for the Elizabeth City Fire Department in 1988, where he worked up through the ranks and was promoted to Fire Marshal in 1998. Barry was promoted to Deputy Chief of Administration in 2010, and currently serves as Deputy Chief of Operations since being promoted in 2014. He returned to school in 1997 to pursue his Basic Law Enforcement Certification in order to enhance the fire investigations division within the fire department. His efforts have allowed other members of the Fire Marshal’s Office to become BLET Certified. 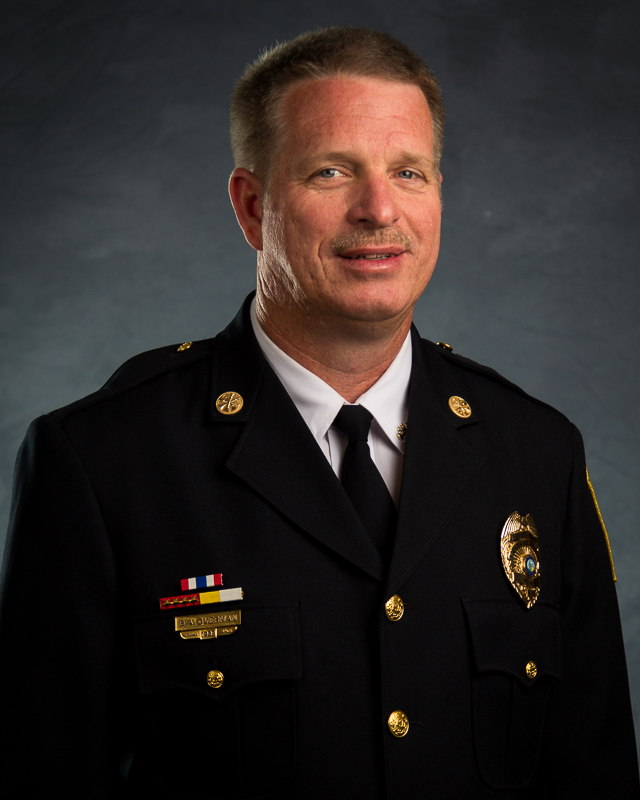 He has served the Eastern Carolina Firefighter’s Association as a board member since 2006, serving in each officer position to include president; and currently serves as a board of director. Chief Overman became an Arson K-9 Handler in 2004 and utilized K-9 “Sheba” on suspicious fires for many years. Sheba retired in 2012 and Overman returned to the Maine State Police Arson program to receive his second K-9 “Ransom”. He and Ransom serve the entire Albemarle area with the investigation of suspicious fires. He was elected to serve on the Elizabeth City- Pasquotank School Board of Education in 2010 for a 4-year term and was re-elected to a second term in 2014. He has served as Board Chair for the past four years. He enjoys music and serves on the worship team at his local church. He is a member of a local singing group “Step of Faith” and enjoys traveling with his family to sing at various churches and other venues. Barry was blessed in 1997 to meet his wife Jeanette. God has blessed them with three children; Seth, Brooke, and Joel.